While an engine runs on gas, it requires something else… electricity. Electricity is necessary in order to operate most of the accessories in a vehicle, but you also need it to make your engine run. The spark plugs in a vehicle connect some of the wiring to the ignition. It is created by the alternator in your car and then sent to the spark plugs, which then create electrical arcs. These arcs arc what ignite the fuel that is in the cylinders in your engine, which then creates the combustion that works to push the engine’s pistons down to actually run the engine. What does all of this mean? 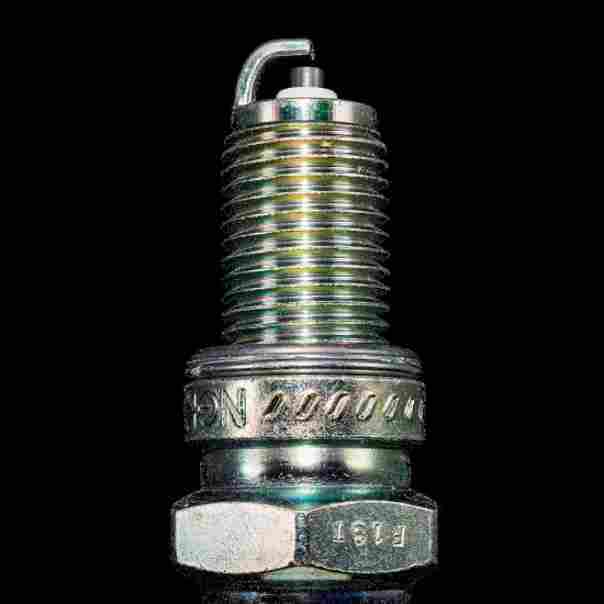 It means that spark plugs are vital in the operation of a vehicle. As a vehicle owner, you may need to replace a spark plug from time to time and this guide will help you know how and when to do it. 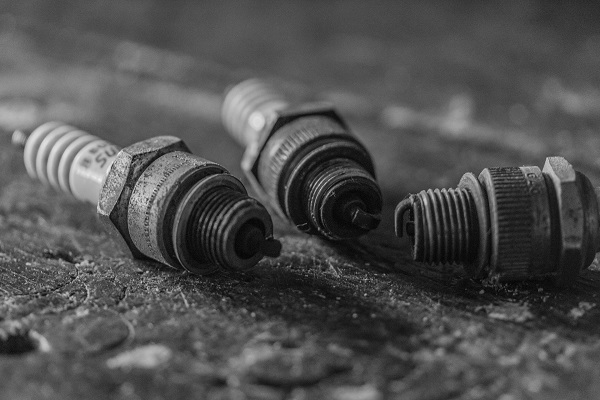 Just as with the other components of an engine, spark plugs experience their own wear and tear with the passage of time. Most of the time, most of that wear has to do with the electrode. To tell where the electrode is, all you have to do is look at the spark plug. You will see that one end of the plug is tapered and narrow. This is the end that connects to the wire. The opposite end is bulbous and features a small metal rod that comes out of the middle of it as well as a metal hook on one side. That rod in the middle is the electrode. Those electric arcs we mentioned? They go from that rod to the metal hook. With normal use, electrodes on the spark plugs wear down. In time, it can get to the point where it doesn’t even create too much of an arc, if it produces one at all. This will have an immediate and dramatic affect on how your engine operates. If you take a look at your owner’s manual, you will see that the maker of your vehicle recommends that you replace the spark plugs every 30,000 miles. If you are using stock plugs, that is ok. That being said, when you actually change them can vary because of other factors. High Performance – If your spark plugs are the high-performance type, you might need to replace them more frequently because the electrode can wear out faster. Oil Leaks – When you take a spark plug from the engine, the base of it should be pretty clean. Sometimes though, you might notice a bit of oil on it. If you do, this means that you have an oil leak. This means that you will need to replace the seal that is blown, but you will also need to replace the spark plugs with a greater frequency due to contamination. Long Life – Just as with oil, some plugs are made so that they will last longer. The electrodes on them don’t wear down as fast, and this means that they will have a longer life. If you want spark plugs that will last as long as possible, look for ones that are made from platinum or iridium. Spark plugs that are made from copper will need to be changed quickly because they only last for about 20,000 miles. 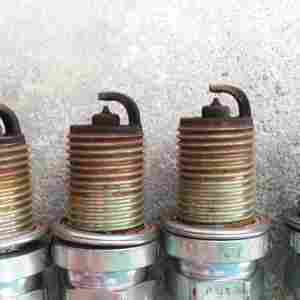 High Revs – If you are the type of driver who tends to put your vehicle through the paces most of the time, you are actually putting more wear on the spark plugs. This means that they will need to be replaced more often. Drivers whose foot is a bit lighter will be able to make the most of their spark plugs. Rough Idle – the engine in a vehicle idles when you aren’t going forward or backward and when it idles, a car engine typically produces about 1000 rpm. The sound from an idling engine tends to be smooth and constant, but when the spark plugs are getting too worn, you might hear a jittery, rough sound that produces larger vibrations in the vehicle. Not getting this checked out can result in costly damage. Misfiring Engine – When an engine misfires, the vehicle can actually pause for just a second before continuing to move. Because of this, the vehicle in question doesn’t function as well as it should due to one or more of the cylinders not firing properly. This also leads to higher emissions. Ignition Trouble – Many people might think that when their car doesn’t start that it is because of a dead battery or no fuel. Another thing it might be is the spark plugs. If the plugs aren’t able to produce the spark needed by the vehicle to run, you won’t be going anywhere. Bad spark plugs can also drain your battery. Surging Engine – When your car takes in more air than necessary for the process of combustion, the vehicle can start to jerk before slowing down. It also might stop and start continuously. This means that the engine isn’t working efficiently and can be dangerous in traffic. 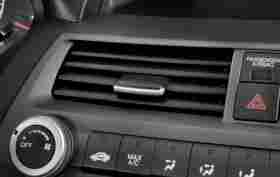 Poor Acceleration – You will be able to tell when your car isn’t accelerating as it should. It will feel like it just isn’t responsive when you press the gas, or if it does, it will be late. 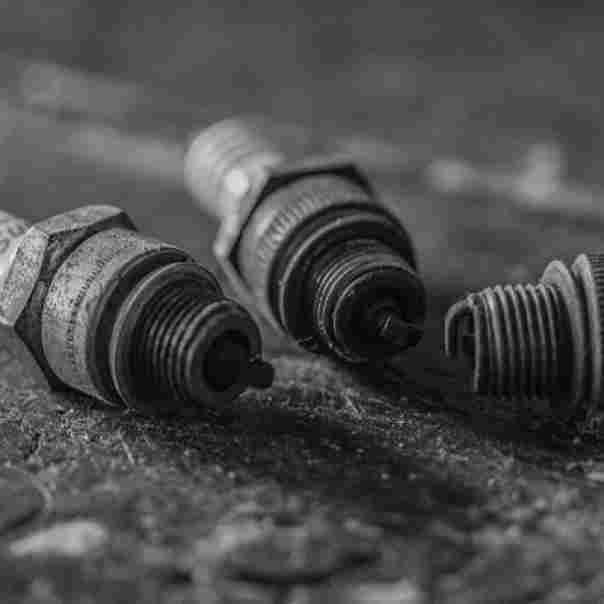 Higher Consumption of Fuel – When spark plugs deteriorate, you might notice that the fuel efficiency decreases, sometimes as much as 30% because of combustion that isn’t complete. 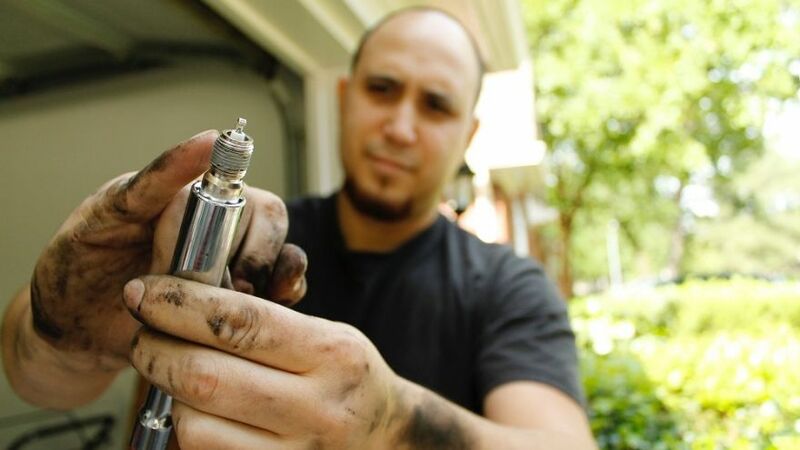 To get the fuel efficiency back where it belongs, change the spark plugs. 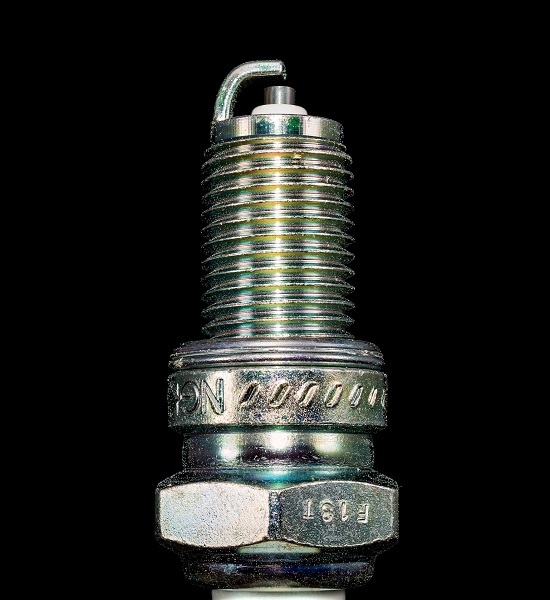 The condition that your engine is in, and even the way you drive, can affect the longevity of your spark plugs. The good thing is that they aren’t expensive. Also, changing them gives you the opportunity to check the spark plug wires. To change the spark plugs, you first need to find them. You can start by finding the rubbery, thick wires under your hood. Follow those and they will lead you to the plugs. There should be one for each wire. 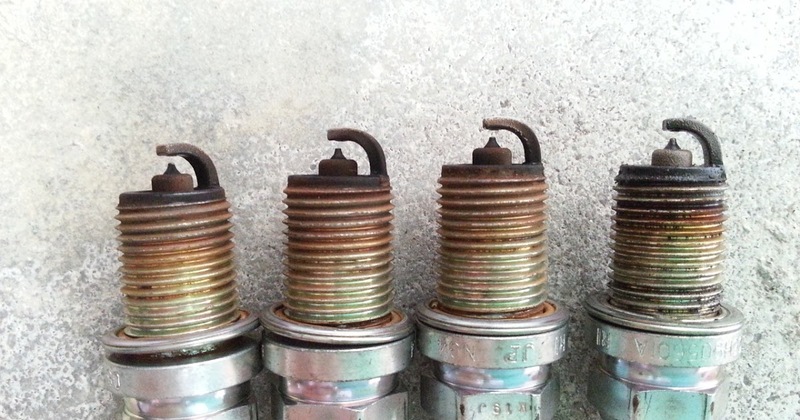 You will have one spark plug for each cylinder… 4 for a 4-cylinder engine, 6 for 6, 8 for 8. Start at the end of the row of plugs and pull the wire off the plug by holding it as near to the engine as you can and then pulling. It might need a bit of a wiggle if it is being stubborn. Now that you have taken one of the plug wires off, you will need the socket for the plug and the extension on the ratchet. Look in the socket for the plugs and you should see a bit of black rubber or foam inside. This is what grips the plug while you are maneuvering it. If your socket is missing this, you can improvise with masking or electrical tape. Set the ratchet to loosen before sliding it over the plug as far as it will go. Now just take the old spark plug out. This is important. Look at each plug you take out. You might notice a bit of soot, only a bit. If the plug appears to be oily or white, there might be other issues to deal with. You also want to check the porcelain part for any cracks. Now, take a peek at how the end of the plug that the wire attached to looks. Some of them appear to be threaded just like a screw would be. Others might just have a metal cap on one end. Make sure that the plugs you got to replace them have the same appearance. Once you have made sure that the new plug look like the old one, you will be ready to put it into place. In days gone by, you would have needed to set the gap on new plugs. Nowadays, you can get plugs made specifically for your vehicle, and when you do, the gap has already been set. Put the wire end of the plug into the socket and, holding the extension of the socket ratchet, push the plug into position. Now guide it carefully into the hole, trying not to bang it into anything because this can damage the spark plug or screw up the gap. Once you have it in position, you can begin to screw it in by hand. Doing it by hand will keep you from cross–threading them. Use your hand to screw it in until it resists and then tighten it with the ratchet. Remember not to get it too tight because the soft metal can be damaged if you tighten it too much. Put the wire back on the plug. Inspect the wire as you are reattaching it. Look for broken or worn places and replace them if it is necessary. Repeat the process for each plug until they are all replaced. Now, it is time to start your engine and hear the difference. All About Automotive – How Often Should I have my Spark Plugs Replaced?